To reduce your cost, Brandsport offers this item in Bulk (sold here individually). Gorilla also lists this same item in 4-piece sets as Display Package # 40007 and Bag # 40007B. 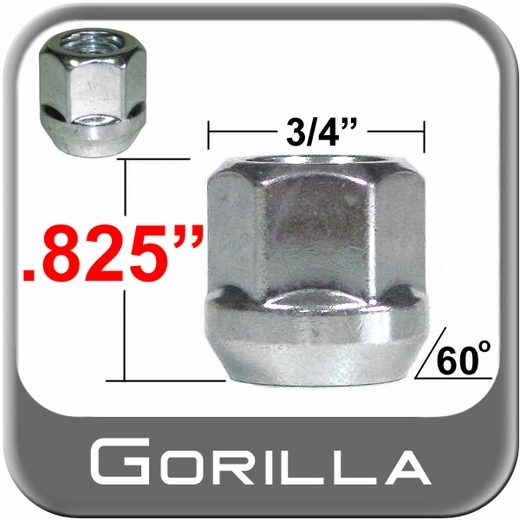 Zinc plated to resist weather and corrosion so the driving lasts longer. .
Only hardened steel of superb quality goes into the shaping of all these zinc plated lug nuts. Custom engineered to guarantee a precise fit for diverse 14mm designs .